Obituary for Sammy (Stanley) Dombroskie | Heubner Funeral Home Barry's Bay Ltd.
65, of Barry's Bay passed away early morning Friday August 24th in the MV Hospice after a brief, hard battle with cancer. Sam was born in Barry's Bay to Peter and Victoria (Luckovitch) December 30th 1952. He was also the "3rd" son to Albert and Mary (Yantha) Gutoskie with whom he lived during his teenage years. Most of his adult life was spent living on the Gutoskie farm. 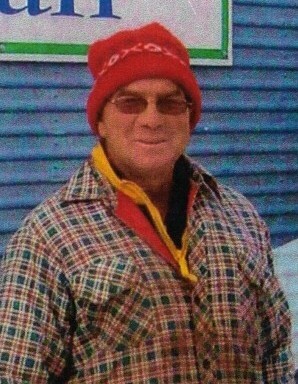 Sammy was a well known employee of the Township of the Madawaska Valley for over 20 years. He took great pride in his work at the Bark Lake Waste Management Site, particularly the Bark Lake Mall. Sammy is survived by his sisters Margaret (Doug) McClement, Theresa (Ed Shea), Francis (Mike Schmidt), Jenny (Gary Broadstreet), Mary and his Gutoskie family, Joe, Bridget, Scott, Eric and Micheal. Sammy was predeceased by both sets of parents, his brother Alec and his sister Angela. He will be deeply missed by his uncles Louie and Tony, aunts Susie, and Mary, cousin Louie Jr (Irene Kuiack) and all his numerous cousins, nieces and nephews. Thank you to everyone for their visits, prayers and support. Thank you to Frank Yantha and the Balmoral for all the meals provided. Special thanks for the community home nurses, Dr Chen, Karen Wagner, staff and volunteers of the MV Hospice and Heubner Funeral Home. Memorials may be made to the MV Hospice or the Madawaska Valley Association for Community Living. We will always carry you in our hearts. See you top side.